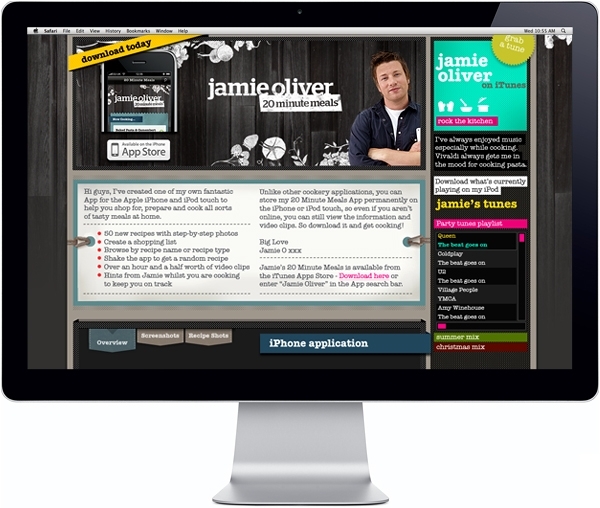 Jamie Oliver and Zolmo have created a fantastic new app for the Apple iPhone and iPod touch to make cooking at home even easier. 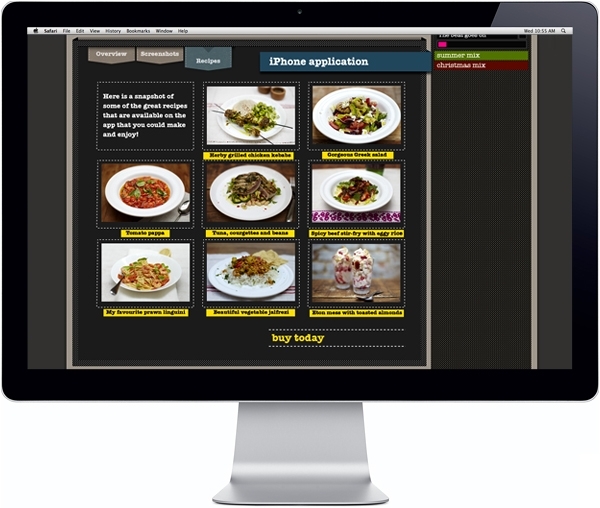 It comprises 50 new recipes with step-by-step photos to help you shop for, prepare and cook all sorts of delicious meals. More than two billion apps have now been downloaded from Apple's App Store in the first year. 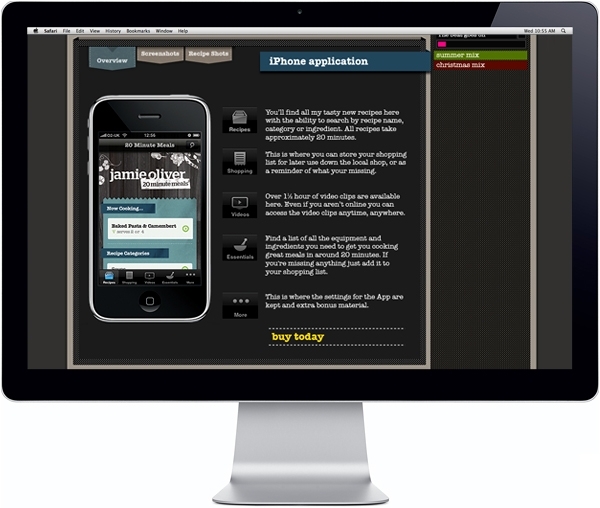 This webpage was designed to advertise the launch of the Jamie Oliver app on the iPhone in December 2009.